Is your roof leaking? Do you keep getting repairs done time and time again only to continue to spend more and more? You should consider upgrading to a metal roof for Canton homes. 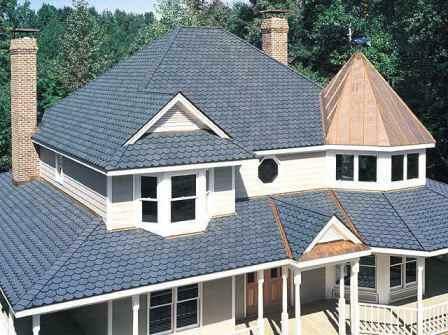 Metal roofing in Canton is a great investment because of its quality and durability. You will be able to relax a little once it is finished because of its strength and ability to withstand all types of weather. Metal roofing, when installed correctly and treated well, will not need repairs. There is no chance of rotting or wearing because of the durable water-resistant material it is made out of. Going this route may be a bit pricier than shingled roofing but it lasts three times longer. It also helps to keep your house insulated to where it will reflect the sun away from your home in the summer to keep it cool during the hottest months, and it will keep the heat in during the coldest winter months. You can stop worrying about cold spots and hot spots in your house because everything will be regulated due to the insulation. Shingled roofs are cheaper at the time of installation, yes. But you have to think about all the money you will be saving on repairs and replacement with a metal roof. A shingle roof will wear out quicker and start showing signs of dark spots and leaking and dips in the roof. You will need to take care of it quite a few times within your lifetime. A metal roof will just need one installment, gets a lifetime warranty and will ensure you that with proper maintenance this part of your home will be stable and functional for the rest of your life. Having your roof redone will also up the value of your home. Since it is an enhanced material that improves many aspects of your home it makes your home become more valuable. Also, part of your roof can be a tax write-off. So give your Canton roofing professionals a call today and see what they can do for your needs today. There are more advantages than people realize when deciding on a metal roof. There are internal and external reasons to choose this material.The beautiful look of the roof is the icing on the cake. If you are looking for Canton metal roofing services, please call us today at 614-263-8899 or complete our�online request form.